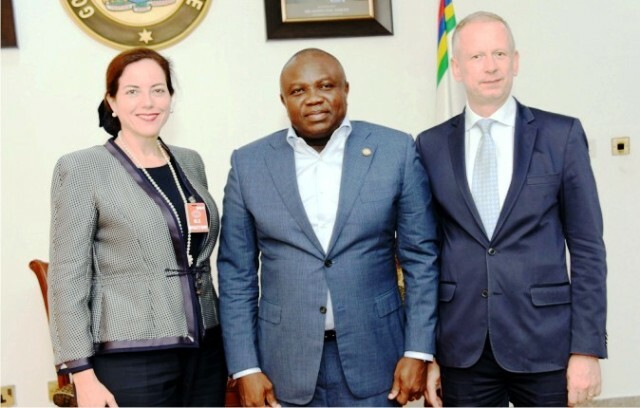 L-R: Leader of Delegation, Knauf Group Management Committee, Isabel Knauf, Governor Akinwunmi Ambode of Lagos State and Consul General of Germany, Mr Ingo Herbert, during the visit of the group to the governor in Lagos, recently. The committee set up by the Adamawa State Government for the payment of outstanding salary liabilities from Paris Club refund to the state has commenced sitting in Yola. The Chairman of the committee, Alhaji Abdulrahman Abba-Jimeta, said at the inaugural meeting last Tuesday in Yola that the state government had received N4.8 billion out of the N12.8 billion being expected. Abba-Jimeta said that the government had approved the utilisation of the entire N4.8 billion for the settlement of salary arrears of teachers, local government staff, primary health care staff and political office holders in local government areas. Borno State Government has ordered all hospitals and health agencies standby to provide emergency medical response to victims of Rann attack by Nigeria’s Air Force jet. The army’s fighter jet had misfired during an operation in Kala Balge, killing civilians and humanitarian aid workers. However, the governor’s spokesman, Isa Gusau, in an email to journalists in Maiduguri, said that Governor Shettima received the news with very deep concern. Isah said “Following the unfortunate situation at Rann in Kala-Balge Local Government Area of Borno State, Governor Kashim Shettima has since ordered the state Ministry of Health to set up an emergency with all medical hospitals under the state government located in Maiduguri. This includes the State Specialist Hospital. The Kaduna State Government says it will strengthen the operations of major markets across the state as part of its efforts to improve its revenue generation profile. The Commissioner for Commerce, Industry and Culture, Dr Shehu Adamu, made the disclosure to newsmen after he met with the market leaders in Kaduna. According to him, markets have huge potential for revenue generation and the state intends to optimally exploit such to provide dividend of democracy to the people. Adamu said that plans had been concluded to provide the entire infrastructure needed in all the markets across the state to ensure their viability. A former Chairman of Malumfashi Local Government of Katsina State, Alhaji Muktar Ammani, has appealed to politicians to empower youths in their academic pursuits to eschew vices. Ammani, a Peoples Democratic Party (PDP) chieftain, said in Katsina last Tuesday that political elites should guard against misguiding youth in the country. He advised the youth against being easily swayed by politicians into indulging in social vices for meager empowerment, and enjoined youth to remain steadfast, focused on their goals, shun all forms of distractions and crimes as well as manage their time effectively. The Kebbi State Government has approved the release of N5 billion for the payment of pension and gratuity to pensioners. The Commissioner of Finance, Alhaji Ibrahim Augie, disclosed this in Birnin Kebbi while briefing newsmen. “Further to recent expanded meeting between Governor Atiku Bagudu and stakeholders on payment of pension and gratuity, the governor has approved N5 billion for the settlement of outstanding pension and gratuity of pensioners in the state,” Augie said. The Minister of Women Affairs and Social Development, Mrs Aisha Alhassan, has urged Kogi State women to embrace the Federal Government’s social protection and empowerment programmes. The minister gave the advice at a one-day advocacy and sensitisation meeting with Kogi women on Government Enterprise and Empowerment Programme (GEEP) in Lokoja. She said that the meeting was aimed at sensitising the women to government’s efforts to cushion the impact of the harsh economic realities confronting the nation. “The scheme is for petty traders, market men and women, food vendors, farmers, informal service providers, artisans and other small-scale entrepreneurs. 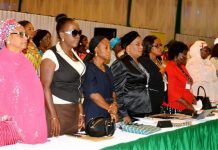 The Kwara State Government has commenced the distribution of certificates to beneficiaries of the Women Empowerment Programme, the Commissioner of Women Affairs and Social Development, has said. The Commissioner, Hajia Asiat Saka, in a statement she issued in Ilorin, advised them to come to the Ministry of Women Affairs and Social Development for the collection. She stressed that the certificates would be required at the Kwara Commercial Micro Finance Bank, Ilorin, to enable them access their funds. Saka directed all beneficiaries of the empowerment programme to visit the headquarters of the ministry, adding that collection of the certificates would hold between 8 a.m. to 6 p.m. each day. Balarabe, has promised a speedy passage of the 2017 appropriation bill to cushion the effects of the economic recession on the people. Balarabe, while deliberating on the 2017 budget, during the House’s proceeding in Lafia, assured Nasarawa State residents that the lawmakers were aware of the current hardship and were determined to shore up their fortunes. The Speaker expressed optimism that the 2017 budget would reduce the sufferings of the people, and challenged his colleagues to redouble their efforts toward enacting laws that had direct impact on the lives of the people. He restated the readiness of the assembly to partner with the executive arm so as to initiate more people-oriented projects. Police in Niger State have appealed for information that would lead to arrest of killers of a policeman, Nigeria Security and Civil Defence Corps (NSCDC) operative and a civilian. The command’s spokesman, a Deputy Superintendent of Police (DSP), Mr Bala Elekana, made the appeal in an interview with newsmen in Minna. He said that although sufficient security personnel had been deployed to hunt for the killers of the persons, the police still required the help of the public. “We have put in place measures that will pave way for the arrest and prosecution of all those involved in the senseless killings, but the residents should complement the effort of the command. State command, Mr Segun Oluwasemire, lastTuesday advised newly- promoted officers and men of the service in the state to make discipline and excellence their watchwords. The controller gave the advice during the decoration of 71 promoted officers and men in the state. He commended the leadership of the Comptroller-General of Prisons, Mr Ja’afaru Ahmed, for rewarding excellence, dedication and service. Oyo State Government has approved routine maintenance of 14 roads across the state, the State Commissioner for Information, Culture and Tourism, Mr Toye Arulogun, has said. Arulogun, in a statement issued in Ibadan, said the approval was given at the State Executive Council meeting. He explained that the state government would not relent in its infrastructural development drive and ensure good roads across the state. The commissioner urged the citizens to avoid activities that could lead to destruction of roads in the state. Arulogun also listed some of the roads to be affected by the routine maintenance to include: Beere-Oranyan-Orita Aperin road; Ogbomoso High School – Baptist High School Road, Oroki – Emmanuel Alayande College of Education, Oyo (Phase I), among others. Governor Simon Lalong of Plateau State has said that the state government would re-engage retired permanent secretaries in order to benefit from their wealth of experience. Lalong stated this in Jos, when a Forum of Retired Permanent Secretaries in Plateau, led by its Chairman, Mr John Gobak, visited him. 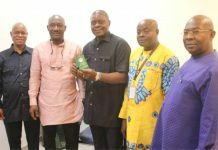 The governor said that the retired permanent secretaries had spent their lives working for the state and garnered a lot of experience that should not be allowed to waste. He added that some of them would be engaged in agriculture, an area that the federal and Plateau governments were very passionate about. Mosques and churches should be places of compassion as well as houses of God which should be well protected. A Director in the Islamic Education Trust, Minna, Niger State, Alhaji Nuruddeen Lemu, made the remark at the end of a two-day North-West Joint Interfaith meeting in Sokoto. He explained that the meeting was convened to foster more understanding between Muslim and Christian faithful in the country. The Yobe State Government has distributed self-employment facilities and cash totaling N142 million to 400 youth as part of efforts to check unemployment in the state. The state Governor, Alhaji Ibrahim Gaidam, distributed the materials, which included sewing and knitting machines, electrical tools, and car wash and aquaculture facilities, among others. In his remarks, the governor said agriculture and entrepreneurial development were veritable means of fighting poverty and unemployment. He said over 500 hectares of land had been developed at Boloram, Jakusko, Muguram and Nguru lakes to engage over 1,000 youth in irrigation farming. The governor said that apart from the job creation facilities, the beneficiaries were given N20, 000 each, courtesy of the state government and the Sustainable Development Goals (SDG) office. Gaidam said the UNDP also donated Maize, Millet, agro- chemical and sprayers to support the agriculture programme. The Zamfara State Government has established 130 adult education centres across the state as part of its effort to improve mass literacy among grassroots people in the state. The Special Adviser to the state governor, on Mass Education, Alhaji Kabir Jangeru disclosed this in an interview with newsmen in Gusau . Jangeru said that the state government planned to establish standard and comprehensive adult education centres across all the political wards of the state under its policy. He said that the aim was to reduce illiteracy among people of the state, especially in rural communities. According to him, the state mass education board in collaboration with the UNICEF have also established 136 Integrated Qur’anic Schools (IQS) across the state aimed at teaching those children in Qur’anic schools western education.